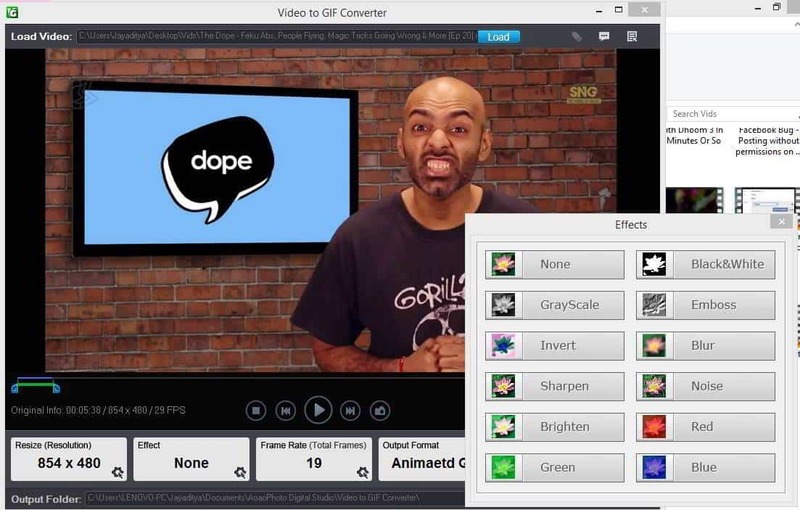 Aoao Video to GIF Converter, the simplest video to GIF Converter, reviewed by iGadgetsworld. This is some kind of tool which you may never have used, but once you try it I can be pretty much sure that you can stick to it as Aoao Video to GIF Converter is very easy to use and it does its job perfectly so here is a brief Aoao Video to GIF Converter Review from us, after using it and really it is very good and works flawlessly. Above you can see the screenshot of a video which I was converting to GIF, you can see that the UI is plain and simple, not complicated one like GIMP, which is one of the most popular tool for GIF related jobs. It has a timeline based UI, which makes it very simple to select the start and end points of the video, where it is to be cropped and converted to GIF. The Aoao Video to GIF Converter is supported on Windows Platform and it starts from XP and ends to latest Windows 8 and 8.1 PCs. 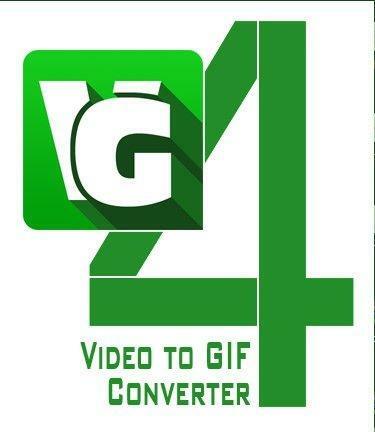 Convert a Video to Animated .GIF image file. Convert a Video to Several Pictures in an image file format you choose. Add special effects to your image files converted from a video. Resize the .GIF file generated from your video. You can easily upload it to imgur, Google+ or even on your website/blog easily. Control the Frame Rate to reduce and increase the .gif animated image file size. You can do a lot of tasks before converting to GIF. Like you can add some of the effects like grayscale, invert, sharpen, blur, emboss, black and white etc. And all these, with just a click, no need of filthy layers or other tools, which I loved a lot while using it and so included in Aoao Video to GIF Converte review. The main advantage of this tool over others is that you just need to spend a few seconds to get your job done, and you can make some crazy and funny GIfs and upload them to your blog, website or even on Google+ as the social giant Google allowed GIFs on Google+. So, you can use them as photo comments on many sites also like 9Gag, which I often visit and look for some crazy funny GIF comments. Aoao Video to GIF converter is capable of importing videos from most of the popular formats like .avi, .mpeg, .mp4, .mkv, .wmv, .mov, 3gp and many more. You can also convert the videos to many other formats like .bmp, .tga, .tif, .pcx, .ico etc. I have already mentioned that you can add many effects, that’s not all. You can set the output resolution and can even adjust the noise level, brighten the picture and do more. Aoao Video to GIF Converter lets you choose a frame rate between 1 to 24, however you can adjust the frame rate to reduce the size of the GIF file which you will get after converting the video. So, here’s a GIF from Guardians of the Galaxy, which I made just now. Aoao Video to GIF Converter supports most of the popular video formats, so if you are a blogger this tool is great for you so that you can make small GIFs and upload them to your blog or website. This is the best and simplest video to GIF converter I have used till date, I tried a lot of videos with that and the result was complete satisfactory. You can grab Aoao Video to GIF Converter right from their website and it costs just $ 19.90. Thanks for reading this brief review of Aoao Video to GIF Converter, if you liked the review, please share it with your friend on Facebook, Twitter or Google+ and let the world know about this small but extremely powerful and simple tool, that every blogger must have. If you are already using it, share your experience in the comments section below. We will love to listen from you. Previous articleXiaomi Mi4 Vs OnePlus one: Which is the best smartphone?